This year, the prostep ivip Symposium celebrated its 20th birthday – a true story of success. However, the Association is not resting on its laurels and has called a lateral thinkers club into being. This will have the task of developing new ideas for the design of the Symposium in the light of the challenges brought about by the digital transformation. This is a forward-looking decision because in this age of digitalization successful business models are no longer a guarantee of future success. Even though the FIWARE Foundation already has 100 members, it is still not widely known in Germany. Changing this situation will be one of the tasks of Ulrich Ahle, who has been active as the Foundation's CEO since the beginning of the year. However, his main role is to drive forward the development of new services based on the FIWARE open-source platform. In this interview, the former ATOS spokesman explains his new mission. PLM migration is always a challenge with a high risk to fail. This is especially true in the aerospace industry with its long product lifecycles and strict traceability requirements. 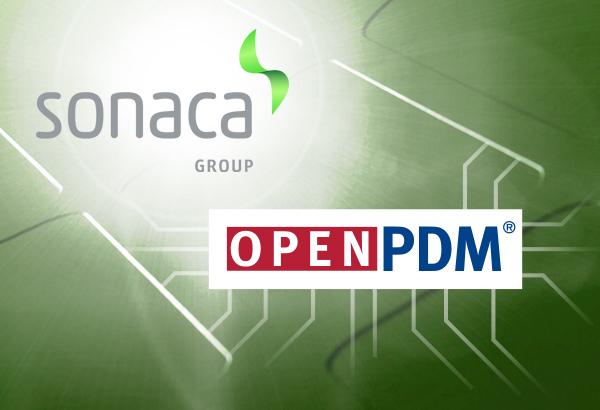 Belgian aerospace supplier SONACA successfully migrated its various Enovia VPM configurations to a unified Teamcenter installation with the help of PROSTEP and its powerful migration platform OpenPDM, which is also used to integrate PLM and Sharepoint-based document management. 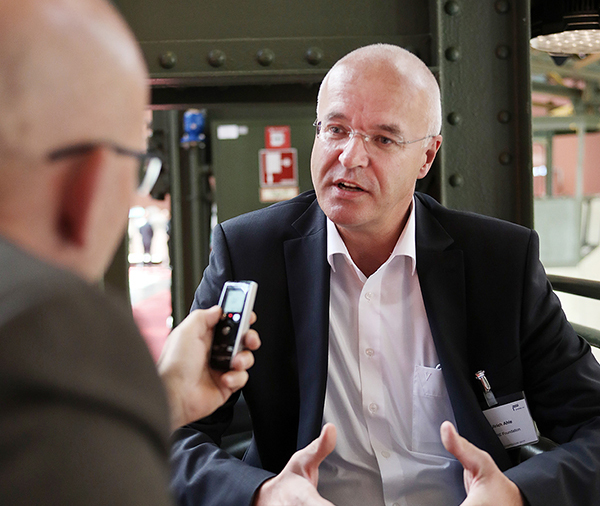 "Digitalization for Products and Production" was the motto of the prostep ivip Symposium, which was held this year in Essen's Colosseum Theater. More than 600 visitors from 16 countries celebrated the 20th anniversary of the event in the former "VIII Mechanical Workshop" of Friederich Krupp AG in Essen. There is no other conference in the world of PLM that can look back on such a long and successful history. For five years, PROSTEP has been the general contractor responsible for further development of the Smaragd software. With more than 15,000 users and a data volume in excess of 5 terabytes, this software is Daimler AG's central PDM backbone. Now, the leading carmaker has entrusted PROSTEP with the overall responsibility for further functional development and the development of the new Smaragd architecture. PROSTEP will continue to modernize the already successfully deployed PDM system and make it fit for a future of digitalization and smart engineering. PROSTEP presents Version 8.4 of the world's leading PLM integration platform OpenPDM. In addition to over 60 new features and enhancements, the new version is characterized by the fact that it now also provides connectors to the IoT platform ThingWorx from PTC and a direct link between the 3D EXPERIENCE platform from Dassault Systèmes and the data exchange solution OpenDXM GlobalX. In just a few years’ time, almost four out of five companies will be using IoT platforms. That is one of the six key findings of a study on the Internet of Things (IoT) conducted by IDC for SAP. Initially, companies are more interested in improving interconnectivity between their systems and devices and than in new services. Only one in five companies has already introduced new business models. about the IDC study here. When it comes to product data exchange, the Schaeffler Group, which is headquartered in Herzogenaurach, Germany, has been relying on OpenDXM for over 15 years. It was OpenDXM's flexible process management capabilities in particular that enabled the specialist departments to provide their customers with a consistently high level of data quality, as the solution allowed data exchange processes to be tailored to meet each customer’s individual needs. In order to integrate non-European partners more easily, the well-known automotive supplier has migrated its existing OpenDXM installation to the web-based Managed File Transfer (MFT) solution OpenDXM GlobalX . 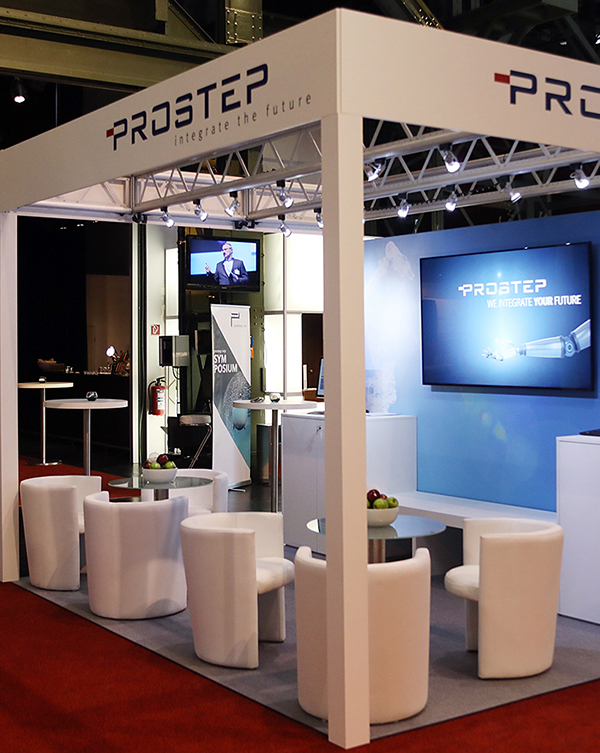 PROSTEP and the "3D EXPERIENCE Company" Dassault Systèmes have deepened and expanded their long-standing cooperation. A new agreement as a CSI Service Partner facilitates the exchange of know-how between the two companies and allows Dassault Systèmes to integrate the PLM specialists in customer projects early on. These projects involve, for example, integrating PLM systems, migrating CAD and PLM data and/or connecting collaboration partners. The interdisciplinary development of smart, connected products and production systems is producing a growing flood of data that is constantly changing. In order to assess the progress of projects, it is necessary to compare information from different data sources at regular intervals. OpenCLM supports configuration lifecycle management through cross-system and cross-discipline baselining that allows companies to react to changes faster.